The pair of recent White House security breaches was shocking enough in terms of the laxity of the Secret Service they exposed. But re-examined in light of the revelation that a man with an assault rifle shot out a White House window in 2011—and the Secret Service didn’t find out that bullets hit the building until four days later—it almost beggars belief that the recent incidents could ever have been allowed to happen. In the first place, it’s hard to believe anyone could sprint across the heavily guarded White House lawn and get inside before being taken down. Yet that’s what Army veteran Omar Gonzalez, 42, did. It turns out that he got even further inside than previously known. A day after the Gonzalez foray, another man managed to drive up to a non-public entrance of the White House and refused to leave. Those two incidents pierced any perception that the White House is the impregnable fortress we’re always told that it is, protected by the most loyal of government samurai. September 24 marked the 50th anniversary of the Warren Commission report—which failed to seriously probe the Secret Service’s deficient performance in protecting the life of John F. Kennedy. It’s surprising how little the Service seems to have improved after all these years. These most recent incidents demonstrate just how important it is for the agency’s record to finally get the scrutiny it warrants. So let’s rewind to Nov. 11, 2011. On that night, Oscar Ramiro Ortega-Hernandez parked his car on a closed street near the presidential residence, stuck his semi-automatic assault rifle out the window and fired eight shots at the White House. At least seven struck the building, including one that broke a window. He was caught, pleaded guilty and sentenced to 25 years in prison. He was then all but forgotten, cast off as another in the long list of “lone nuts” who try to attack the president. That’s until the Washington Postreported on a stunning series of failures by the Secret Service surrounding the Ortega-Hernandez incident. – Police questioned Ortega-Hernandez the day after the shooting at a park in Arlington County, Va., but let him go because there was no national lookout yet issued for him. He would not be arrested until Nov. 16, five days after he shot at the White House. The agency later got around to finding the witness via the social media site, by which time it had already figured out that bullets had in fact been fired. It just hadn’t found the evidence that they had struck the White House. That discovery turned Ortega-Hernandez’ fusillade into a presidential assassination attempt in the eyes of the government. 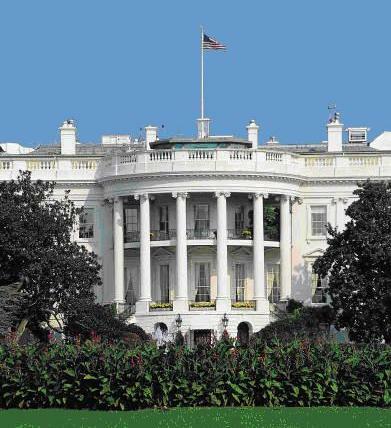 Since the review of the 2011 incident, the White House apparently has upgraded its security systems to include perimeter cameras—presumably better than those in use at businesses and homes. So why did another intruder—Omar Gonzalez—get by this month? He, too, had already been questioned by the police and let go. Unbelievably,he was freed despite carrying a hatchet while strolling the White House perimeter in August. This is a month after Virginia State Police stopped him for reckless driving and found in his car numerous weapons, including a sawed-off shotgun—and a map of Washington with the White House circled in red. Somehow, none of this tripped the Secret Service’s radar, although the Virginia State Police said they reported it to president’s protection unit. That statistic alone should be a big wake-up call that the Secret Service needs to up its game which, so far, has been very sloppy with its current charge. The latest two events triggered an internal Secret Service review which willnow encompass the 2011 failures. After the 2011 shooting, the agency won’t have to make too many improvements to surpass the dismal results of its earlier self-evaluation. Congress is getting into the act, too, starting with a Sept. 30 grilling of Secret Service Director Julia Pierson. How far the Secret Service goes to improve its vigilance this time around bears watching. Especially by the president himself.